Jonix is operating in PETNS from September 2016. “Jonix Educational Services has been working with young children diagnosed with an Autistic Spectrum Disorder (ASD) since 2002. We currently have 9 centres located throughout the Republic of Ireland. Jonix operate specialised pre-school classes that offer a unique and individualised learning experience for each child. Our classes are small, highly structured and provide an effective early education setting. Each class consists of a maximum of 6 children. There is one Class Teacher in each class with 3 Tutors – this means a total of 4 qualified staff working with 6 children. As in all pre-schools, play and fun are encouraged and this is a vital part of any effective program. All the children receive 1:1 tuition and also work in group settings to encourage group participation and social interaction. 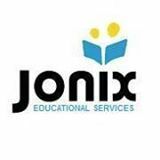 Children attending Jonix pre-schools can use the Home Tuition grant funded by the Department of Education. The Home Tuition grant is only available until a suitable school place becomes available, your SENO (Special Educational Needs Organiser) can provide you with further information about suitable school places for your child. Department of Education Science and Skills Inspected.